When your height and weight is measured we compare it to other teenagers your age and gender on a growth chart. We can also use your height and weight to calculate your body mass index (BMI) and see how this compares to others of your age. If the BMI is lower than average you might be underweight and if your BMI is above average you might be overweight or obese (very overweight for your age). Many teenagers do not realise they are above the healthy weight range for their height and age. Even if they do, their shape might be put down to ‘puppy fat,’ genes or ‘big bones’. We are all a different shape and size however it is important to know whether you are as healthy as you can be for your body. Being overweight as a teenager is something that should be taken seriously. Teenagers who are carrying extra weight can suffer physically and emotionally. For example, some teenagers will not be able to exercise as they have headaches or pain in their knees, feet or back. Others will find it scary to get very breathless and others will experience bullying or teasing. Some may find it difficult to eat in front of others and may be self-conscious about their body shape. Not only can your size cause problems now, but if you continue to gain weight at an excessive rate, it is likely to lead to health issues in the future. I’m worried that I might be overweight? If you are concerned that you may be gaining too much weight for your height, you should first check your height and weight and put these values into a BMI calculator. 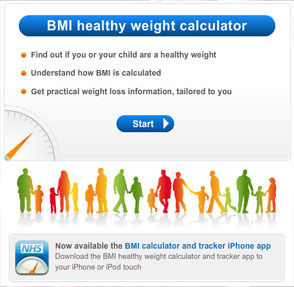 Use the BMI calculator to check what your BMI is today.